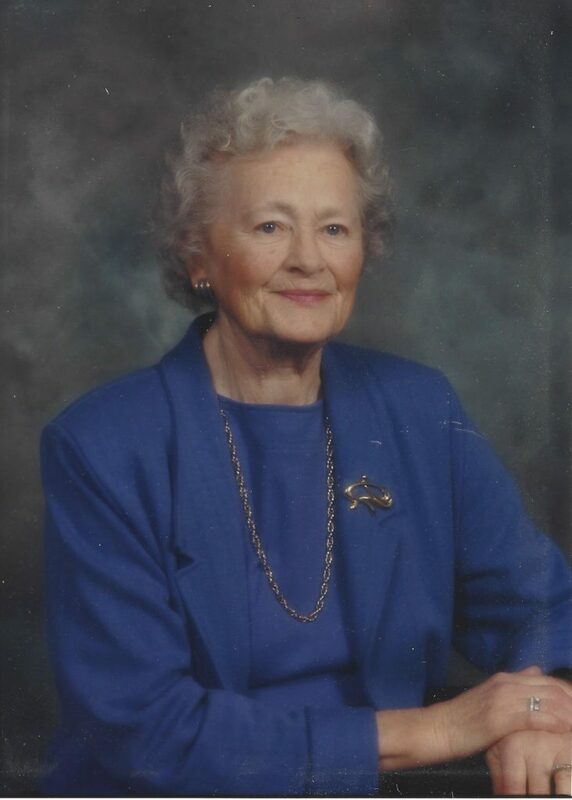 With sadness we announce that Kathleen Copithorne passed away peacefully in Calgary, AB at the age of 95 years. Born in Calgary, Kathleen lived most of her life in the Springbank area. Kathleen is predeceased by her loving husband Louis Ellis Copithorne. She will be deeply missed by her loving children Bob (Laurie) Copithorne, Brian (Susan) Copithorne, Lorna (Norm) Ferguson, Diana (Lee) Drewry, and Marsha (Scott) Wagner; her grandchildren, Pauline (Alex), Marlene (Mark), Michael (Chelsea), David, Evan (Dani), Max (Monika), Lauren (Rob), Sydney (Dylan), and Emma; and 2 great granddaughters, Charlotte and Avery. Honouring Kathleen’s wishes, there will be no funeral service. In lieu of flowers, a donation may be made to a charity of your choice. The family would like to thank the staff at Newport Harbour Care Centre for their excellent care of Kathleen. Hi Lorna, wow, your mom was very pretty, and I can see where you get her looks. I just wanted to convey my deepest condolences to you and the families. Even when we know the end is near and our intellect can accept that, it is still a shock to the heart when it happens. I hope that your memories will give you comfort, as will your family. I’m thinking of you Lorna and so enjoyed our talks about your mom, she was a very special person for sure. Kay was such a lovely lady she will be missed by so many people. Sending love to everyone, and much love to Bob and Laurie and Pauline and Alex. Lorna, I would like to convey my deepest condolences to you and to your relatives. I know you always talk how much your mom was lovely and cared about her kids, grand and great drand children. She will be loved forever. Gerlee. Our condolences to each of you. What a life time you had with your Mother, Grandmother and Great Grandmother! In your loss may you be sustained by precious memories. My deepest sympathy to all the family Marsha, I remember so many good times spent with you and your Mom and enjoyed all our visits. She will certainly be missed. Our deepest condolences to the family! Auntie Kay was such a beautiful person … I never remember her without that smile and a twinkle in her eye!!!! She will be missed… but remembered with much love! We are deeply saddened to hear of the passing of dear Kay. She will be remembered for her kindness, graciousness and thoughtful manner. Remembering your wonderful mother and wishing you comfort. My deepest condolences to the family. Kay was always that bright light in any room she entered. I will always remember her smile and stories told with that twinkle in her eye. Her contribution to family and community will be missed but remembered in so many ways. Louis Ellis Copithorne (Sam, James, Richard, Richard1) b 11 Aug 1922, Mountain View, m Kathleen Raeburn Hunter (Kay) He had great strength. As a youth, he was accurate with a seemingly effortless toss of the curling rock. He weighed twelve pounds at birth. By the age of sixteen he was 6’-4.” He m 29 May 1945 Scarboro United Church, Calgary, Kathleen Raeburn Hunter (Kay) b 15 Dec 1923, Calgary, d/o Cristina Agnes Ogilvie and Alexander Hunter. Kathleen Hunter grew up in the area. For years she was a member of the United Church Women and the Springbank Heritage Club. He was a life long rancher and the owner of the Blache Ranch, “Willow Brook Ranch”. This ranch originally belonged to Louis’ grandfather, Napoleon Blache. It was passed on through Louis’ mother, Beatrice Blache who had married Sam Copithorne. Louis’ son Bob described his parents as “… Modest people. They did not appreciate exaggerated praise. He also said, “Louis enjoyed pheasant hunting, fishing and was a devoted family man who enjoyed many family trips to British Columbia and Hawaii.” Louis d 1 Jan 1980 in Las Vegas while on vacation . Kathleen died in February, 2019, age 95. Bob, Laurie + family- our deepest sympathies and condolences to you at this difficult time. I met your mom a few times and she was such a gracious and pleasant lady. She will be missed by all who knew her! Our condolences to all of you. We have wonderful memories of family gatherings at Aunt Kay’s. She was always so gracious and kind to us. She was one of those people that you loved to be around and who made the room brighter by her presence. Our thoughts are with you!